Greetings lovelies, long time no post! *insert typical excuse related to school* I have been swamped with so much that I don’t even have time to pretty myself up anymore; I just throw on a UCD hoodie and call it a day. Tired of my typical routine in the past couple of weeks, I decided to casually “dress-up.” Dressing up? 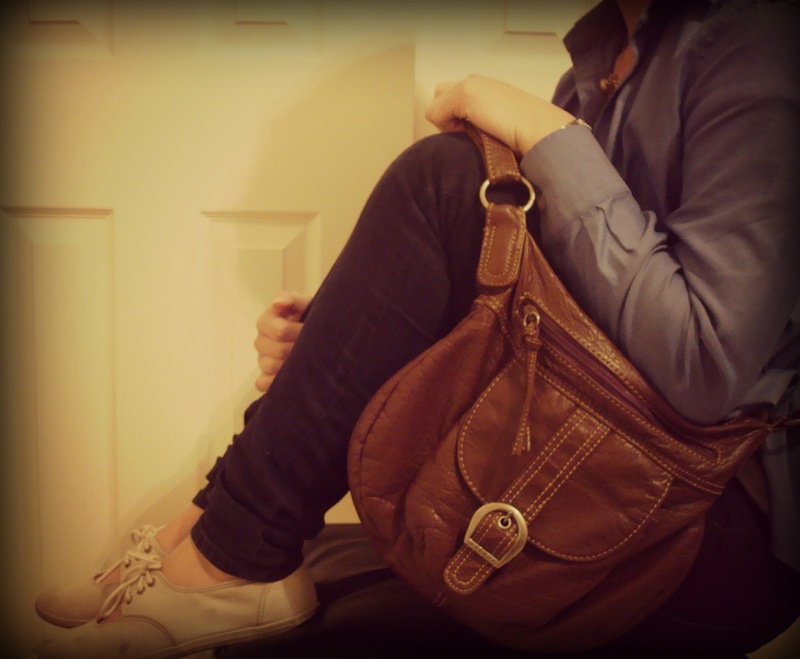 Easy–throw on a button up! Since it was Mellow Monday and all, my definition of “dressing up” was definitely tweaked. Inspired by my little brother, I turned my button up into a cardigan. I used to make fun of him for doing so, but it’s actually not a bad idea! As you know, I love versatility, so I totally dig this two-in-one type of deal. I decided to pair this up with a band tee that I got last weekend with a friend of mines to put a dash of indie into the look. My ten cents #8: SHOP CLEARANCE AND ONLY CLEARANCE. 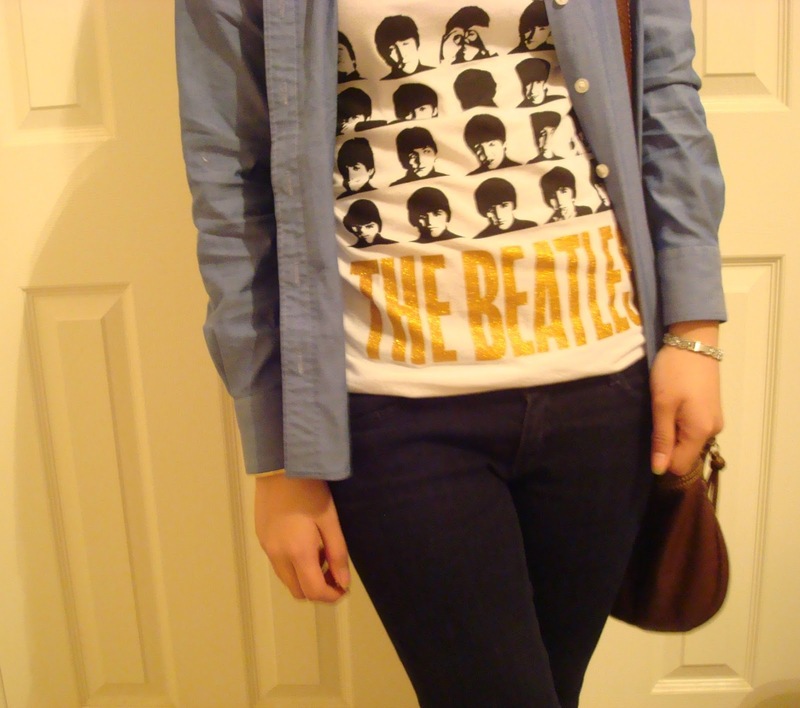 I saw this Beatles tee a couple of months ago for it’s original price of $20 and I really wanted it even though I already have another Beatles tee, but I am way too cheap to cough up full price for anything. I secretly knew this tee would creep up on the clearance rack at Kohl’s and I was so right. From $20 to $4…80% sale, score. As a “budget,” I have this rule where I only buy something if it’s on clearance. If it’s not, then I simply don’t buy it. It’s my way of making sure I don’t buy the whole store, but I don’t want to put a budget on myself where I have to pass up on a good deal. Those who are worried that the clothes on clearance are out of season, this is your chance to put your imagination to work. 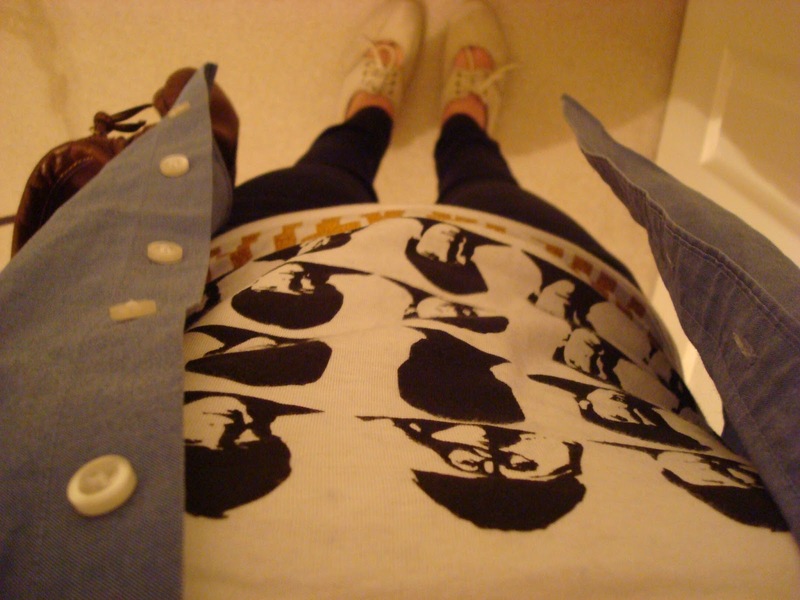 Fashion is timeless, so be creative!